Singer Aretha Franklin performs at Radio City Music Hall in New York, Feb. 17, 2012. Aretha Franklin, the undisputed “Queen of Soul” who sang with matchless style on such classics as “Think,” ”I Say a Little Prayer“ and her signature song, ”Respect,“ and stood as a cultural icon around the globe, has died at age 76 from pancreatic cancer. 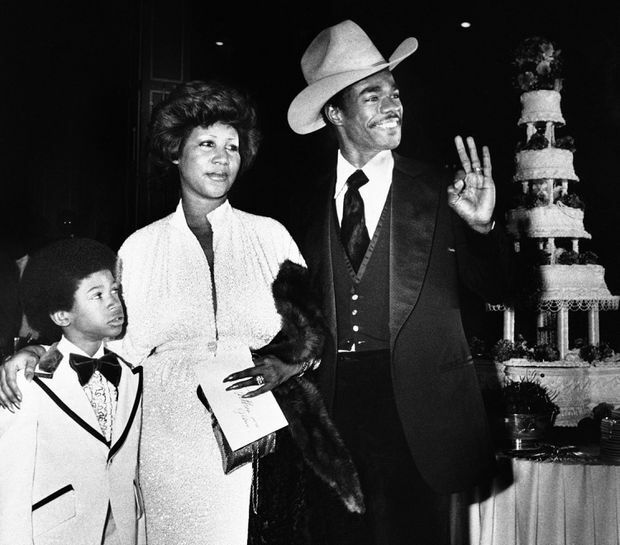 In this April 17, 1978 file photo, Aretha Franklin and her new husband, Glen Turman, arrive at a Los Angeles hotel for their wedding reception, as Aretha's son Kecalf, 8, looks on. Franklin’s best-known appearance with a president was in January 2009, when she sang “My Country ‘tis of Thee” at Barack Obama’s inauguration. She wore a grey felt hat with a huge, Swarovski rhinestone-bordered bow that became an Internet sensation and even had its own website. In 2015, she brought Obama and others to tears with a triumphant performance of “Natural Woman” at a Kennedy Center tribute to the song’s co-writer, Carole King. Fans line up for a concert by Aretha Franklin at the Apollo Theater in New York, June 3, 1971. 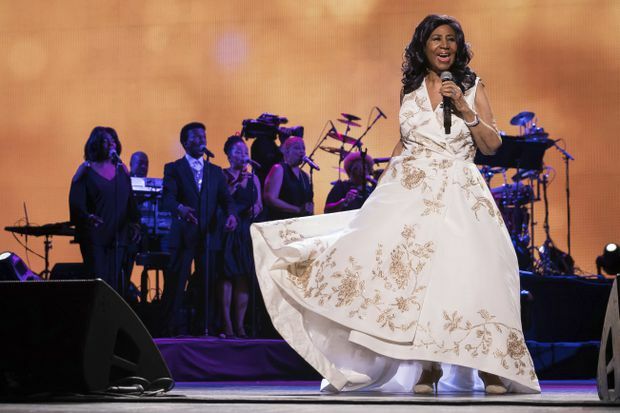 In this April 19, 2017, file photo, Aretha Franklin performs at the world premiere of "Clive Davis: The Soundtrack of Our Lives" at Radio City Music Hall, during the 2017 Tribeca Film Festival, in New York. At Atlantic, Wexler teamed her with veteran R&B musicians from Fame Studios in Muscle Shoals, and the result was a tougher, soulful sound, with call-and-response vocals and Franklin’s gospel-style piano, which anchored “I Say a Little Prayer,” ”Natural Woman“ and others. Aretha Franklin speaks to reporters in her dressing room backstage at the Apollo Theater in New York, June 3, 1971. Aretha Franklin is joined by President Barack Obama and first lady Michelle Obama at the dedication of the Martin Luther King Jr. Memorial in Washington on Oct. 16, 2011.